PRIME Minister Narendra Modi on Friday accused the Opposition of being soft on terrorism, saying these parties are putting people’s lives at risk. 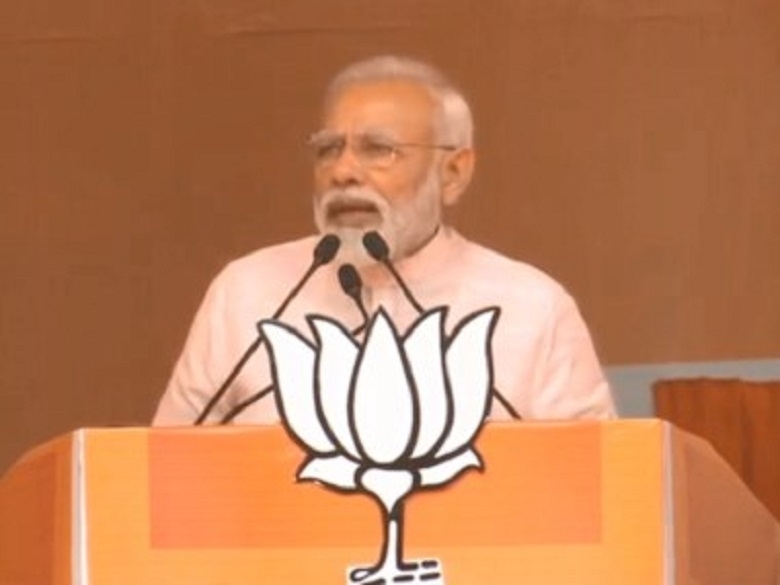 Addressing two back-to-back rallies in western Uttar Pradesh, Modi said the Opposition parties’ only agenda is ‘Modi hatao’ (remove Modi), and attacked them over the issue of combating terrorism. “Be it the Congress, the SP or the BSP, they have put your lives and the future in danger,” the Prime Minister said. Saharanpur is among the western UP constituencies that go to the polls in the first phase of the Lok Sabha elections on April 11. Polling in Amroha will be held in the following round. The two constituencies have a sizeable presence of Jats, Gujjars and Muslim voters. This is not liked by some people who lose sleep when India hits back.” When Pakistan is exposed before the world, “these people” start speaking in its favour, he claimed, adding that there is “competition” among them to become that country’s “hero”. He alleged that the previous Bahujan Samaj Party and Samajwadi Party Governments in the State were “kind” to terror accused, letting them walk free. He claimed terror attacks on innocent people have stopped over the last five years as there is now a “chowkidar” at the Centre, saying he will go to “pataal” -- the bowels of the earth -- to get a terrorist. Modi said he did not consider vote banks while dealing with terrorism.